This indicator presents the share of young people who are not in employment, education or training (NEET), as a percentage of the total number of young people in the corresponding age group, by gender. Young people in education include those attending part-time or full-time education, but exclude those in non-formal education and in educational activities of very short duration. Employment is defined according to the OECD/ILO Guidelines and covers all those who have been in paid work for at least one hour in the reference week of the survey or were temporarily absent from such work. Therefore NEET youth can be either unemployed or inactive and not involved in education or training. 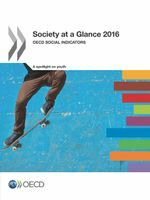 Young people who are neither in employment nor in education or training are at risk of becoming socially excluded – individuals with income below the poverty-line and lacking the skills to improve their economic situation.